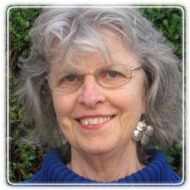 Palo Alto Therapist: Emily Lyon - Therapist 94301. Send A Message To Dr. Lyon. Session Fees: I am willing to discuss flexible fees for those in financial difficulties. Generally my fees lie between $125 - 190 per session. I do take most insurance. I have been a Licensed Psychotherapist since 1984 and have worked primarily in the Bay Area. Early in my career I worked with traumatized men and women who were beginning to recognize that they had been sexually, physically or emotionally abused by their caretakers. In 1985 I became the Clinical Director for Woodside Woman's Hospital in Redwood City which became a center for treating abused women. In the late 80's and early 90's I became interested in womens' resilience and coordinated a Fund which gave research grants to researchers who would do their dissertations on resilience. I also became involved with a group of specialists in Family Systems Therapy who worked with Interns at Stanford University where I studied for two years. I am also interested in doing art groups (creative art) with people who were traumatized or marginalized or need to communicate non-verbally. I have raised two children and been through a divorce so I am familiar with many of the difficult life issues that we all struggle with. I enjoy music, art, hiking, knitting and reading and doing volunteer work with homeless people.